Visual reinforcement is much more effective than text. 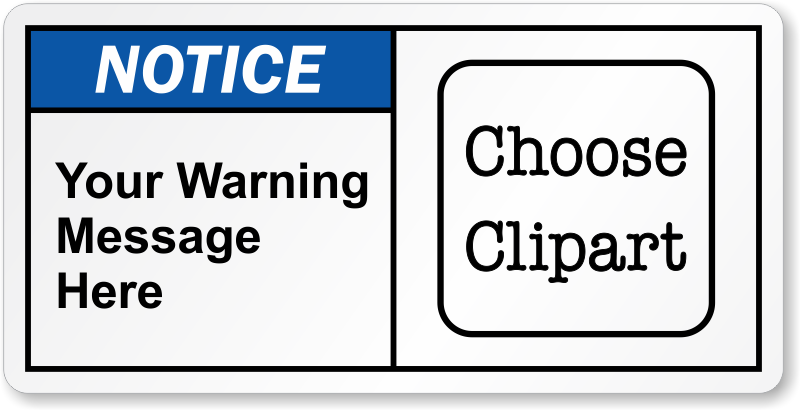 Add a specific clipart from our gallery to this Custom ANSI Notice Label. Label is available in various materials and sizes.